Planning a funeral, no matter whether it was sudden or anticipated, is stressful. Your emotions are high, your spirit low, and now you need to make quite a few decisions that are irreversible (and potentially costly) in a short amount of time. At Lake Ridge Chapel and Memorial Designers, we know that this burden can be lightened with a minimal amount of time and effort through pre-planning with our Pre-need Specialists. There are two categories of funeral planning: at-need and pre-need. At-need arrangements are made at the time of death by family members. Pre-need arrangements are made by you for yourself, or by other family members for a person still living. Pre-need, or pre-planning, is what we’ll explore further in this blog post. Pre-planning begins with choosing a provider, like Lake Ridge Chapel and Memorial Designers, and developing a specific funeral plan with them. They’ll provide information about their types of services available to you and you’ll begin to make a variety choices ranging from burial and cremation options, specifics about the actual service, casket options, and more. Why do I need someone to help me pre-plan a funeral? To put it simply, you don’t know what you don’t know. What we mean is that unless you’ve had experience planning a funeral or your work happens to be in an industry related to the funeral services industry, there’s a good chance you don’t know what’s involved or what to expect. And that’s ok! It’s not possible to know everything about everything. So, what do you normally do when you don’t know about something? Ask for help. Seek out information. 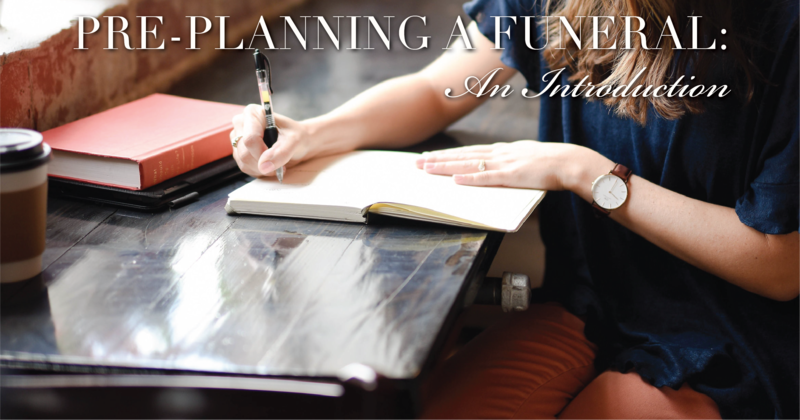 Funeral planning (and pre-planning) is no different. While we will always be available for at-need arrangements and consultation, one of our other goals is to provide you with information about pre-planning and work with you before you have an immediate need. One way is through our website and resources, allowing you to do some basic research for yourself. The other is even better - one-on-one consultation with our pre-need specialists. So who should pre-plan a funeral? The “type A” individual who likes for everything to be organized and taken care of ahead of time. Military Veterans who may need help navigating all the various benefits and honors available. Parents looking to ease the burden on their children. Individuals updating and creating a more complete estate plan. Caregivers with dependents who need extra time and help to plan for someone who isn’t capable of making their own decisions. People who tend to have trouble handling stressful situations and would benefit from a more leisurely pace of planning. Other special circumstances such as long-distance relatives or individuals donating their body to science. Anyone looking to give the gift of peace of mind to their friends and family. Obviously, it’d be impossible to cover all the various combinations of people and situations. The take-home point we hope you see is that everyone can benefit to some degree. In our next post, we’ll go more into detail about the specific benefits that pre-planning with Lake Ridge Chapel has to offer. If you would like to schedule an appt with our pre-need specialists, or have further questions about what exactly we mean by pre-planning a funeral, reach out to us on our Facebook page or send questions to laura@memorialdesigners.net.